The eyeCON software is a client-server solution and is based on a mySQL database. 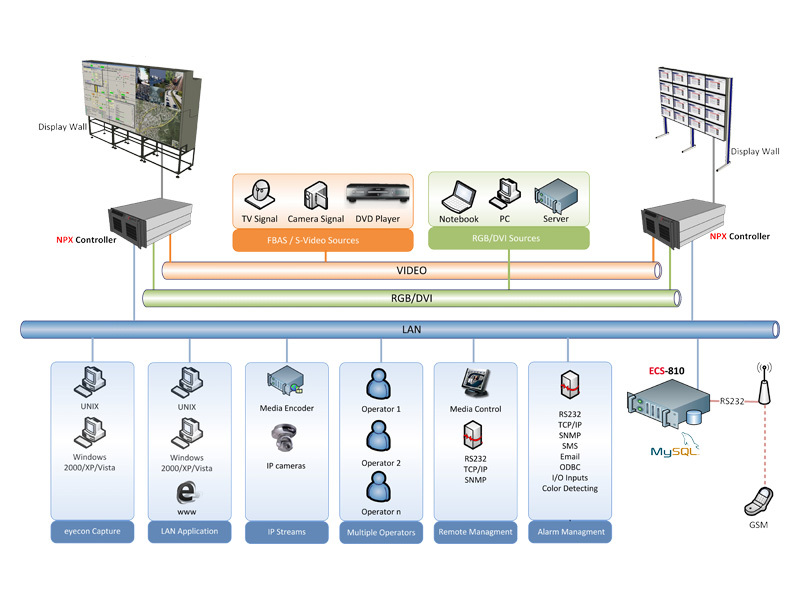 When large videowalls are used the database is usually located on the ECS for better performance and security. All relevant information for the wall management can be stored and called-up again centrally at the ECS, which allows control of your large screen system from any workstation within the network. All systems and clients have access to the database on the ECS, which prevents faulty operation and long reconstruction processes. The database is located on the eyeCON Control Server (ECS) which functions as the central device for the configuration and administrative control of the complete system. 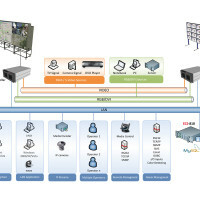 The netPIX controller enables the visualization of any data on the connected projection modules. It is controlled by the ECS and enables the display of any signal sources on the large screen wall. The system has been especially developed for the operation with eyevis rear-projection cubes, but it can also be used with LCD displays, LED screens, single projections or other visualization devices. The eyevis ECS is especially tested and certified for usage in combination with eyeCON wall management software. For smaller standard scenarios the database can be installed directly on the netPIX controller, but if the eyeCON software has to manage clients, capture sources, alarm features etc., we recommend to use a separate server to have enough performance available for applications and external sources on the netPIX. 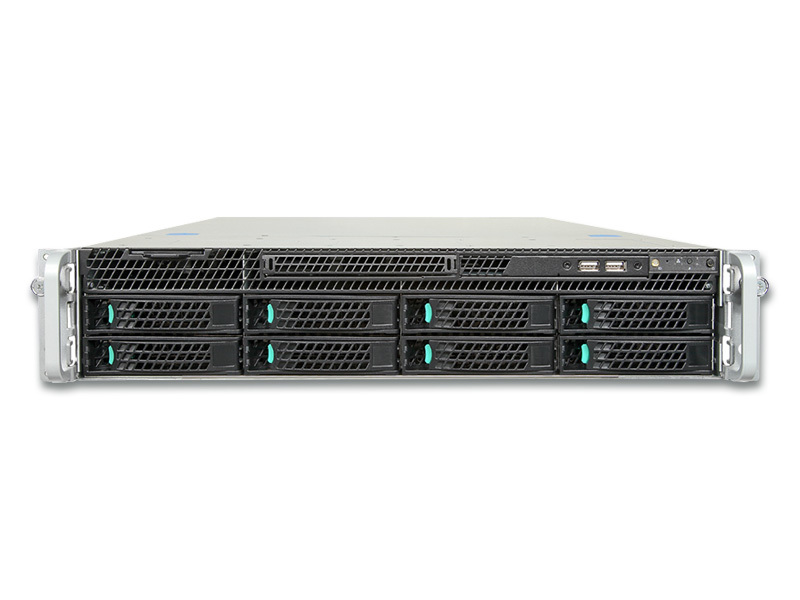 In need of performance, reliability and easiness of integration, the ECS is specifically designed for and validated with the Intel® Server Board through rigorous testing in concentrated computing environments. The ECS has the same 24/7 characteristics as the netPIX, so that they complement to each other through the use of high quality server components. Flexible and easy access to the server is another concern in a space-constrained environment. The ECS addresses this concern through management technologies such as the validation with Intel® Server Manager. The ECS also simplifies maintenance with the help of tool-less assembly and replacement parts including fans, hard-drive backplane, risers and power supplies. Higher security of the complete system. All data are on a redundant server system which could be easily implemented in existing backup strategies.n. 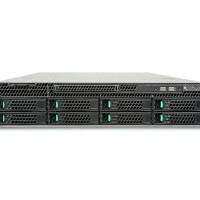 Central server for big installations offering Active Directory, DHCP etc.